The workshop will explore how to build ecosystems of creative collaborations between team members, customers, sectors and local communities to stay relevant and ahead of the disruption curve. 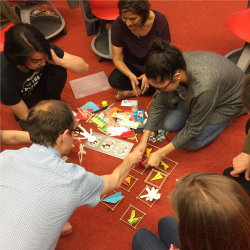 The process is a playful and interactive ‘learning by doing’ experience. Gamification is an emerging engagement approach that is currently being explored on a range of projects at Melbourne Water. Due to the level of interest, we will also be running a NextGen Masterclass in June (keep an eye out) and/or sign up to the MW@workplace online engagement group to keep updated on this topic and many more emerging techniques for online collaboration and engagement. Melbourne Water staff who is looking to learn a new tool and approach to improve project innovation, engagement, motivation and productivity. 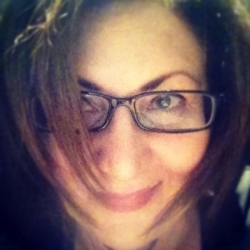 Dr Marigo Raftopoulos is a strategic business adviser specialising in innovation using games, gamification and experience design. She is the founder and CEO of Strategic Innovation Lab, and is also an adviser to the European Commission’s Advanced Digital Gaming and Gamification Program and several technology start-ups. She works with companies and organisations to optimise their digital innovation strategy including customer experience.